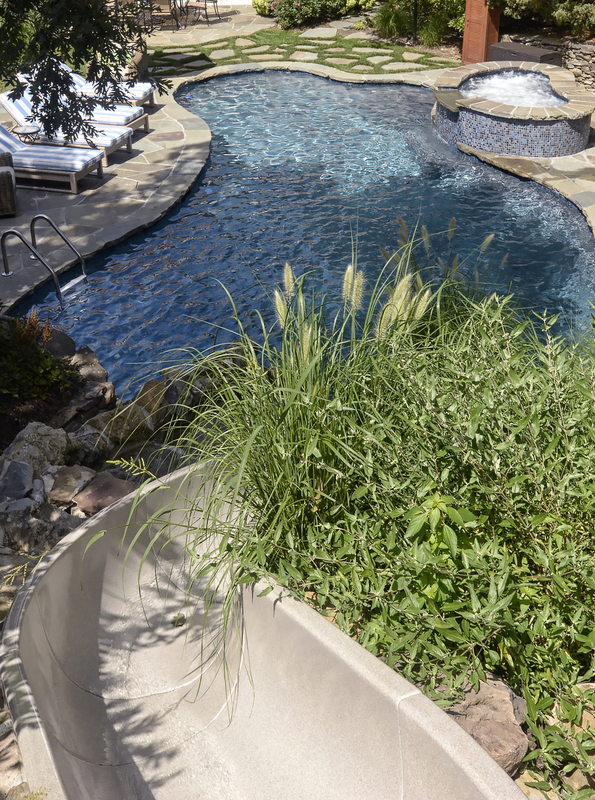 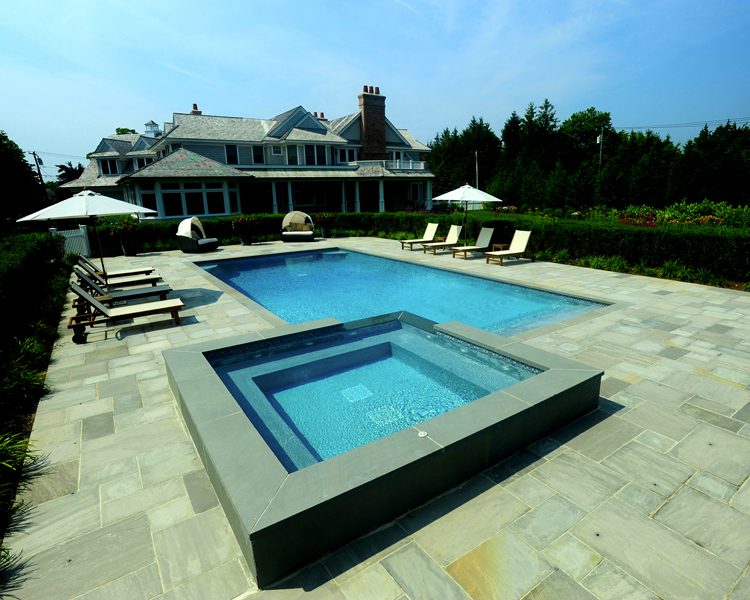 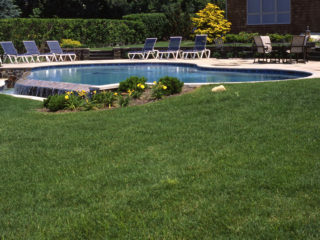 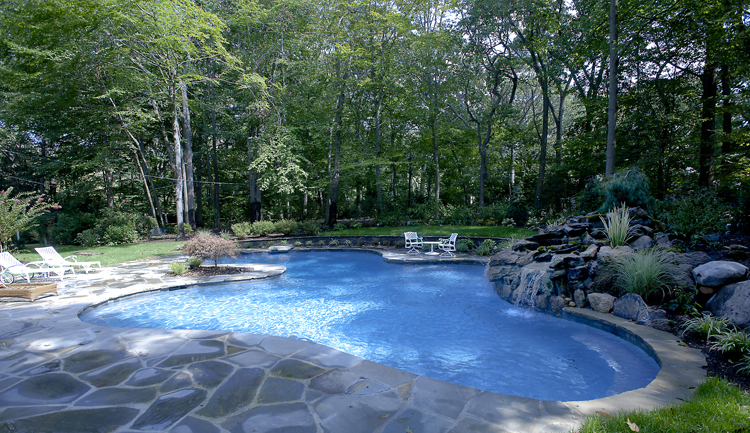 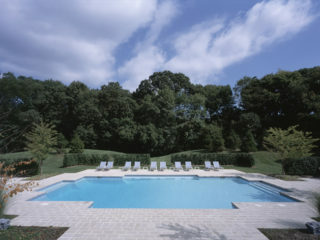 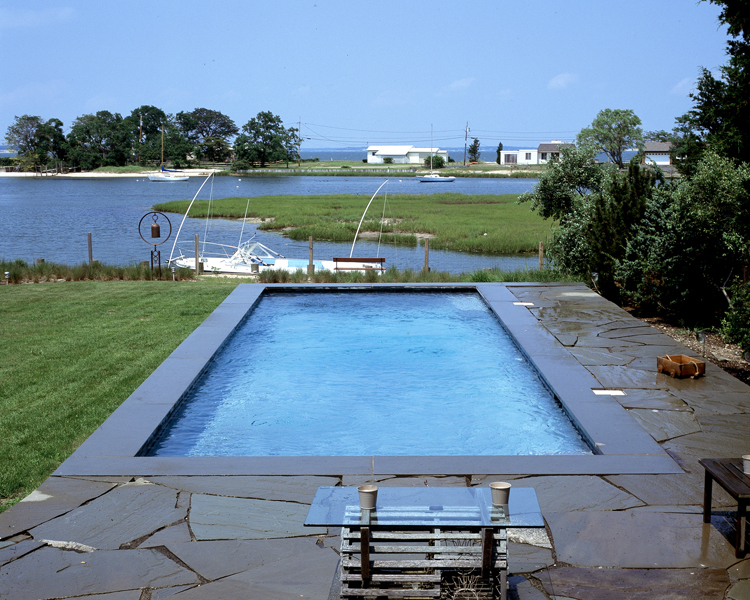 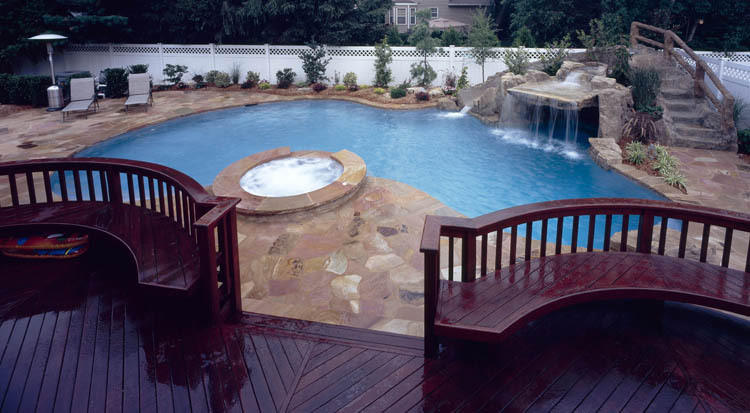 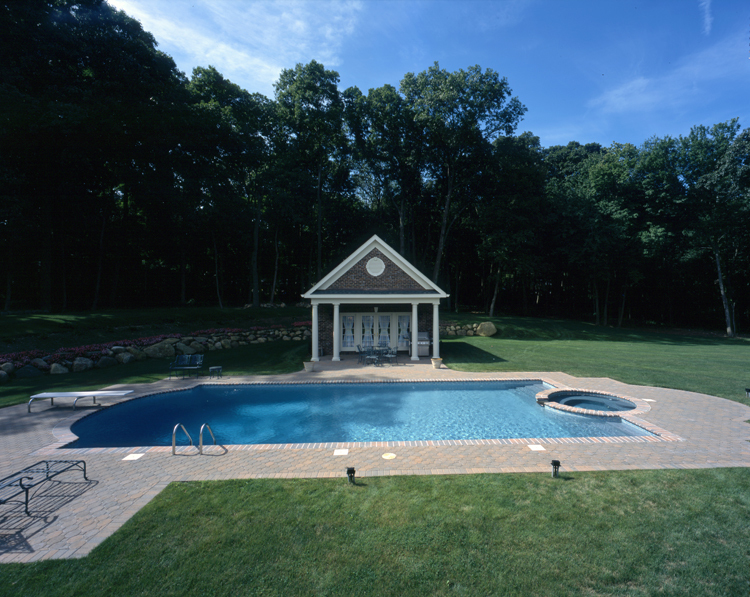 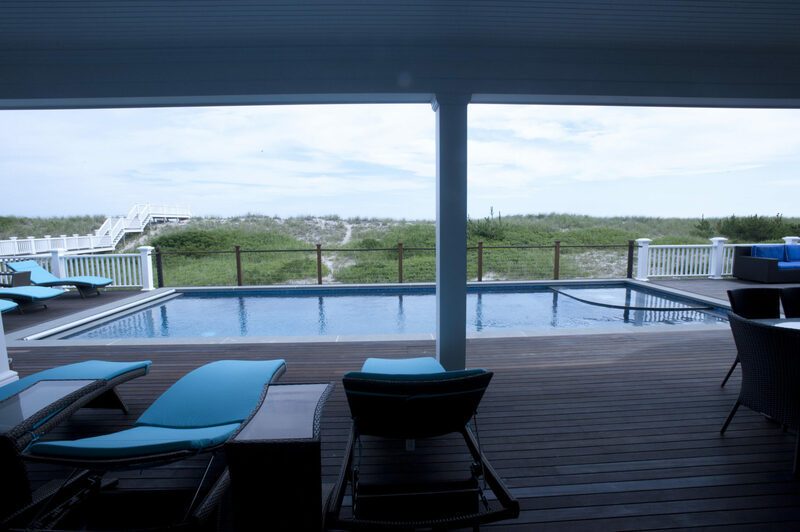 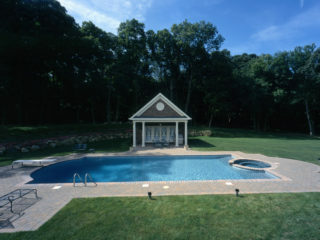 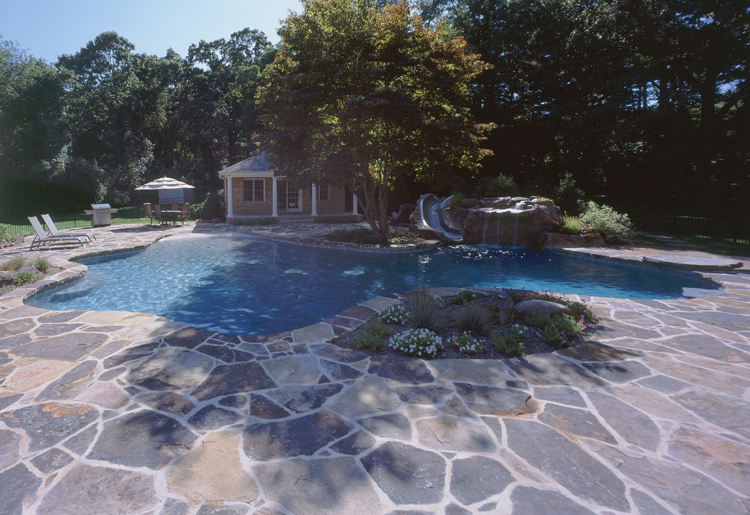 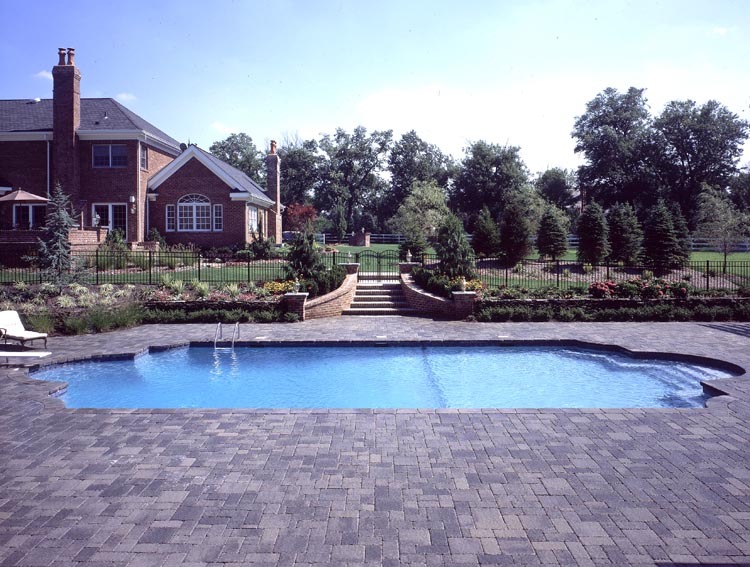 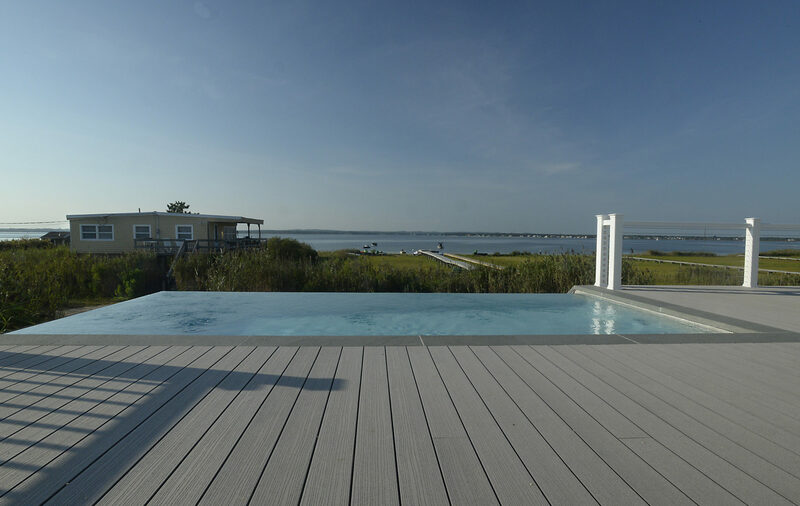 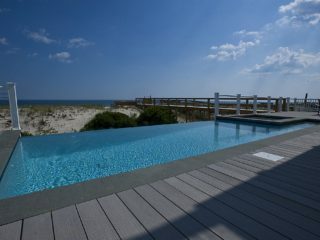 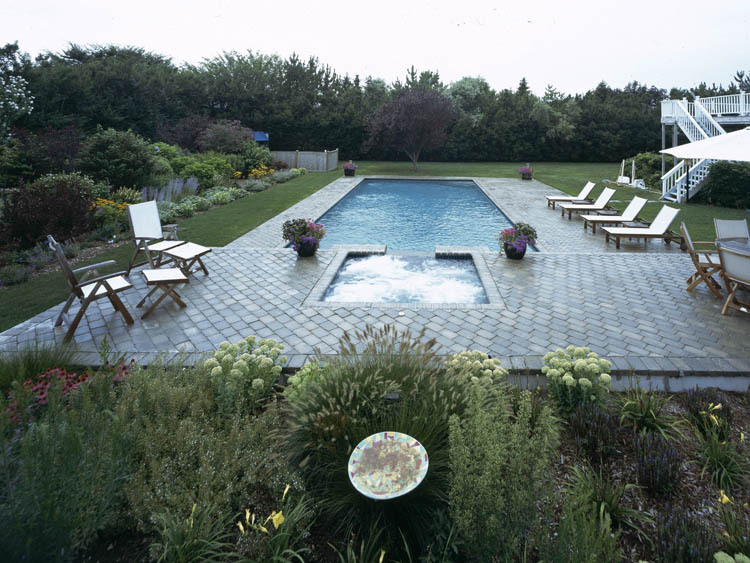 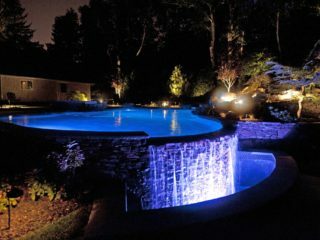 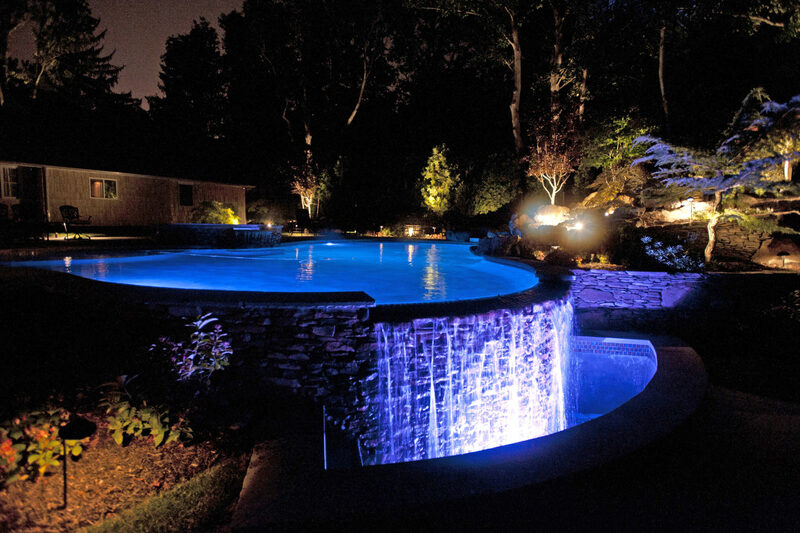 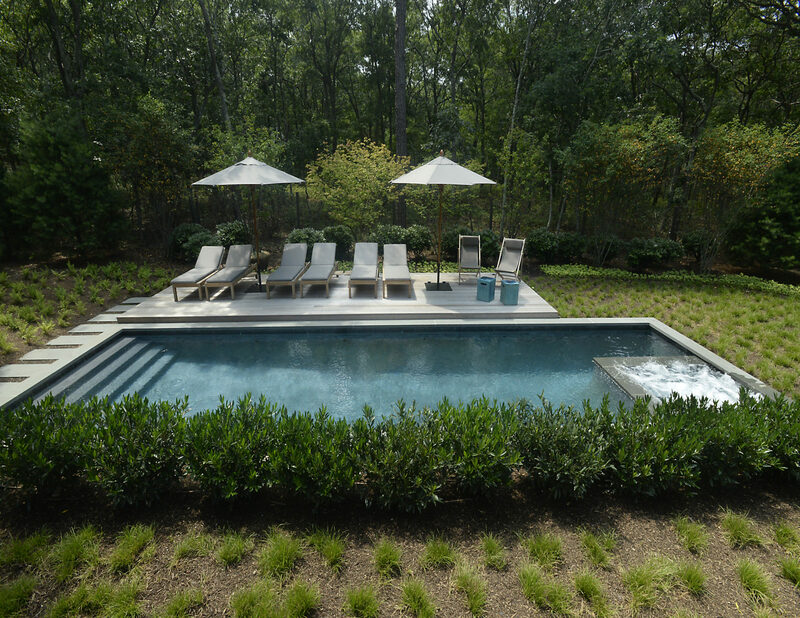 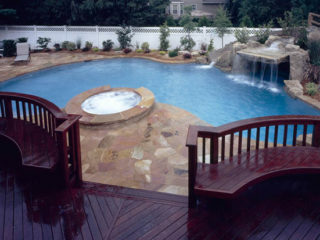 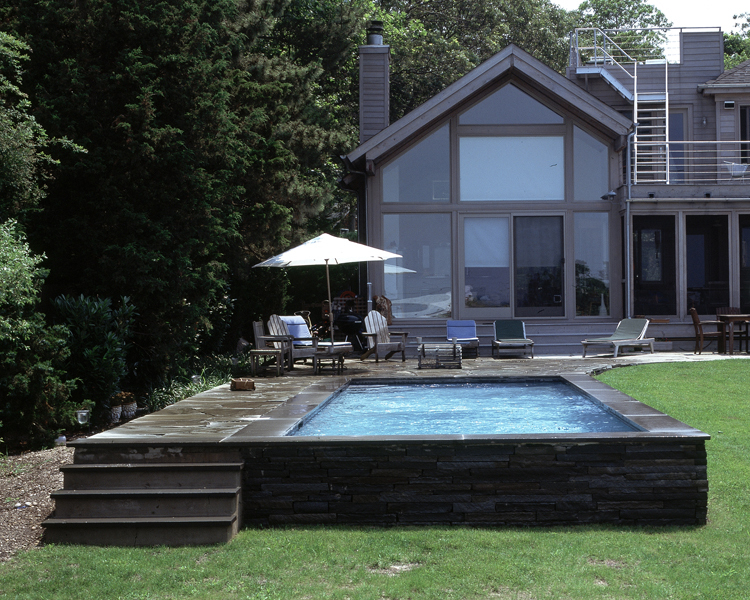 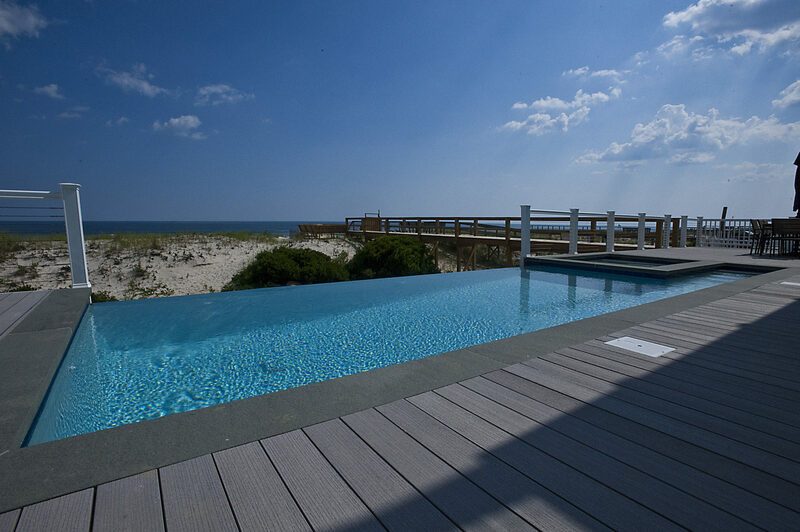 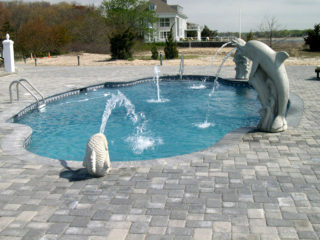 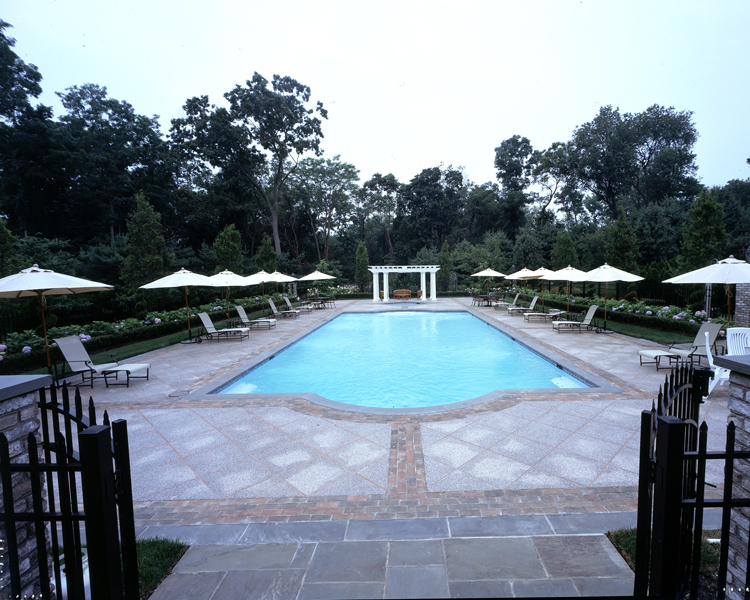 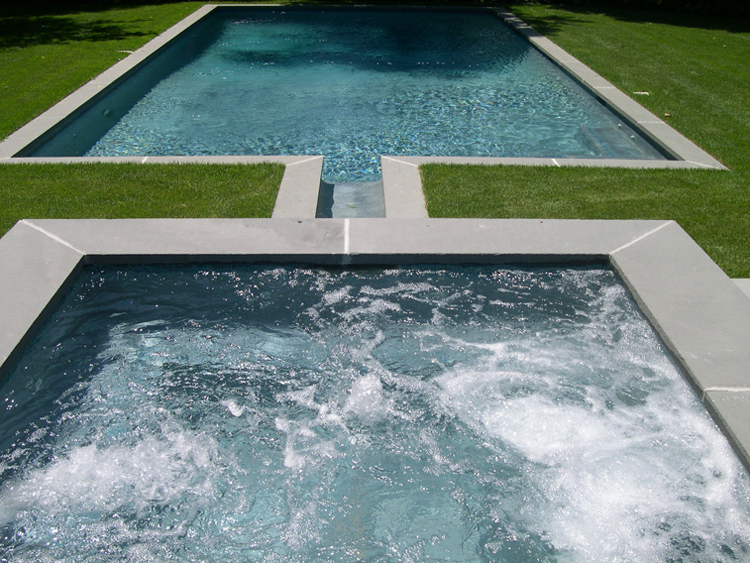 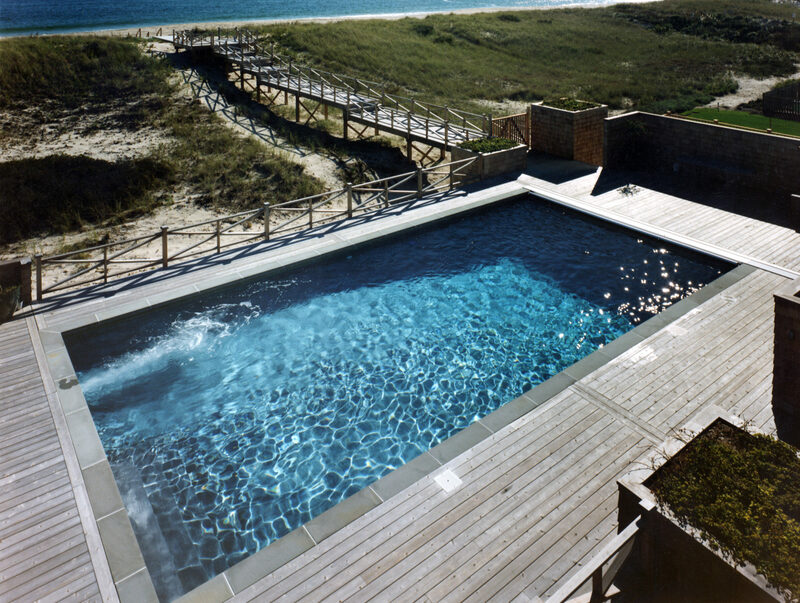 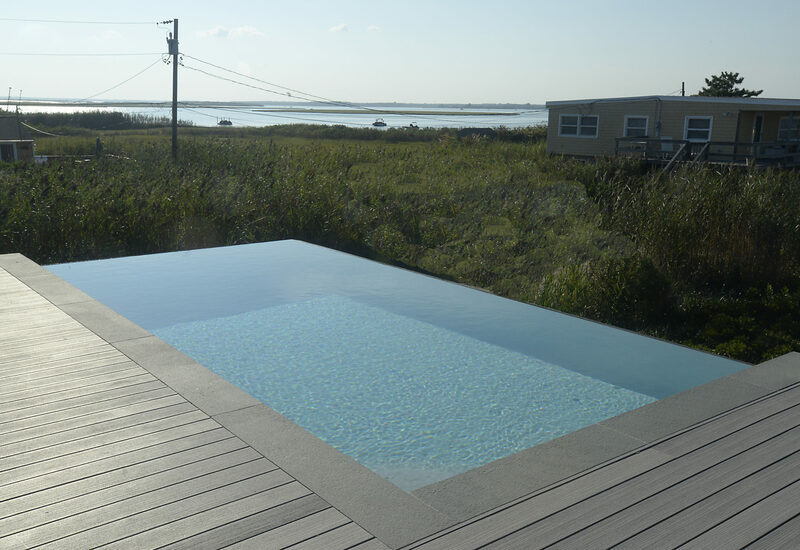 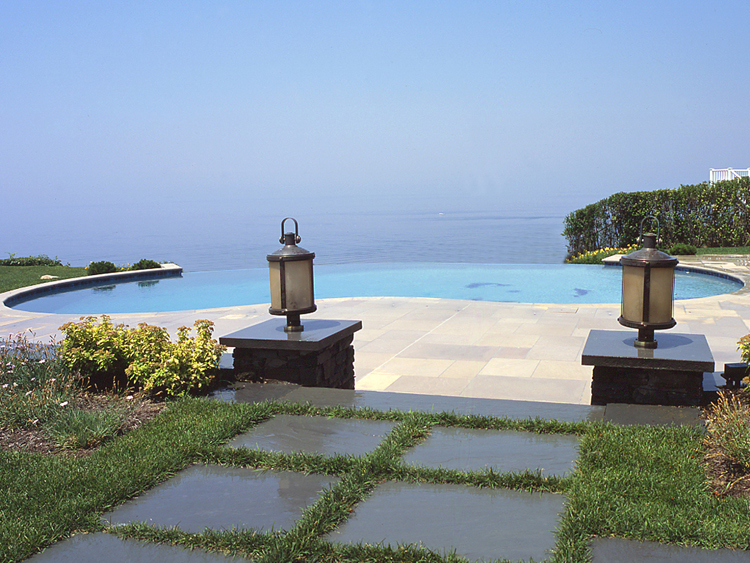 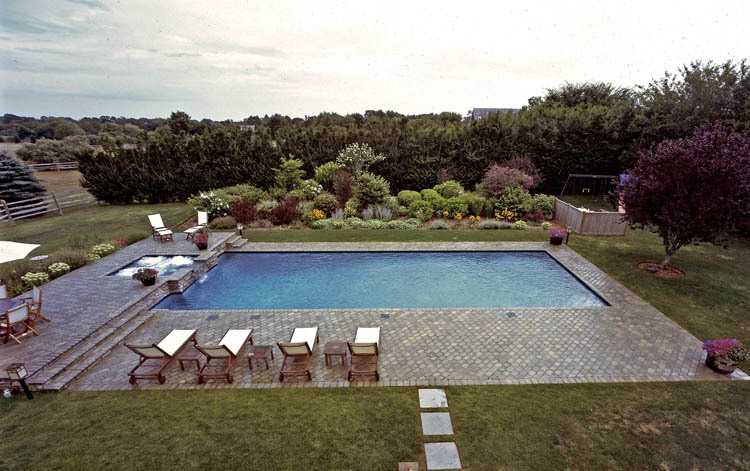 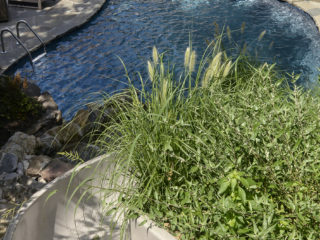 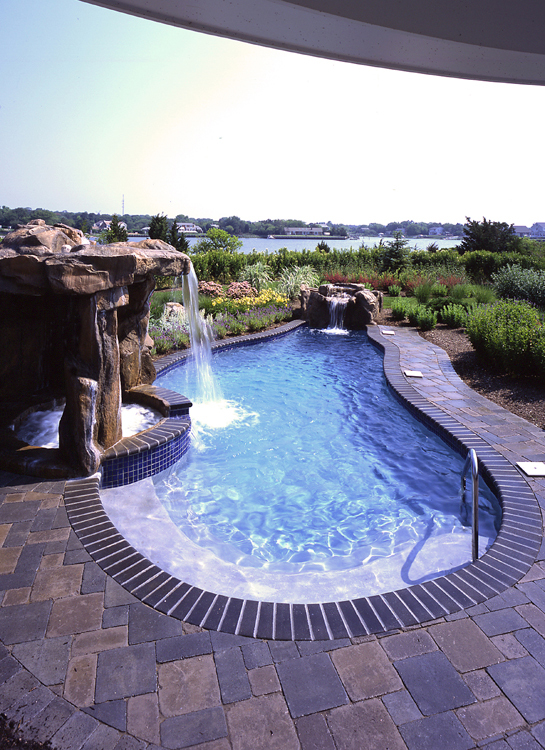 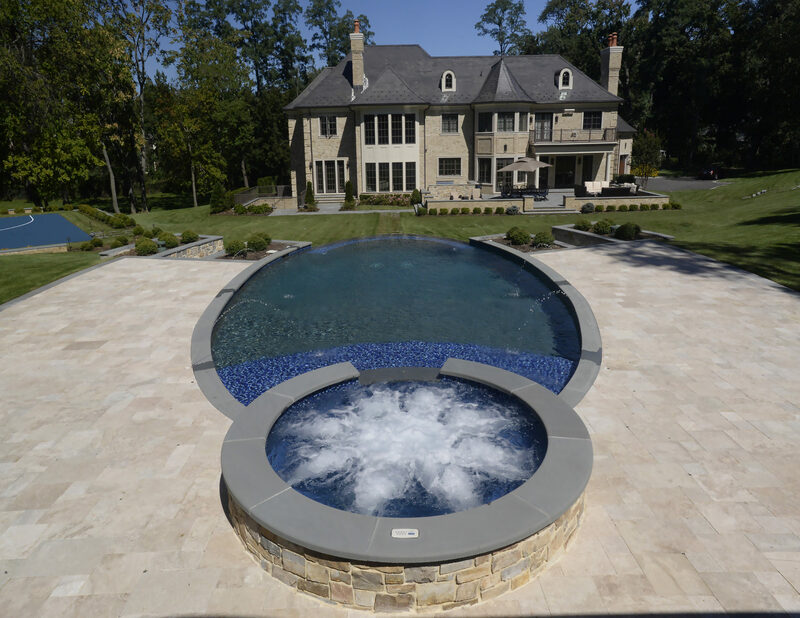 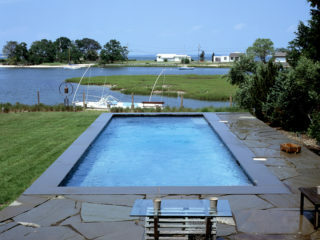 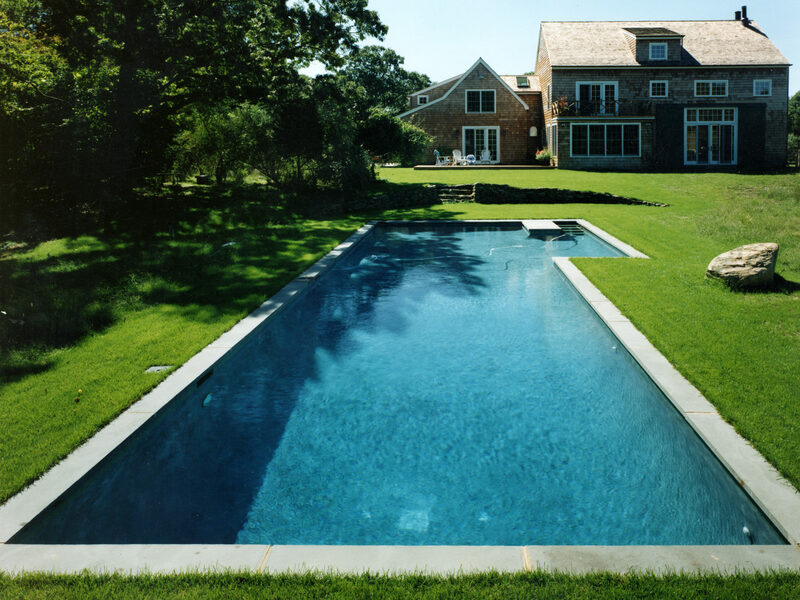 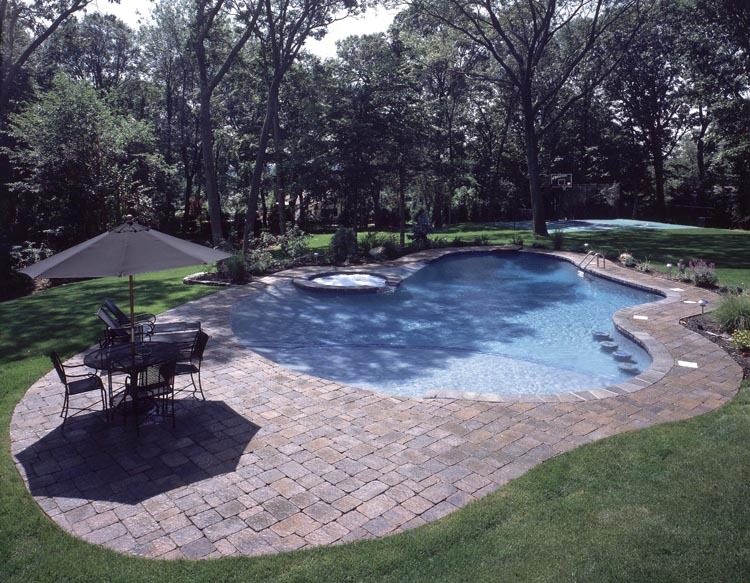 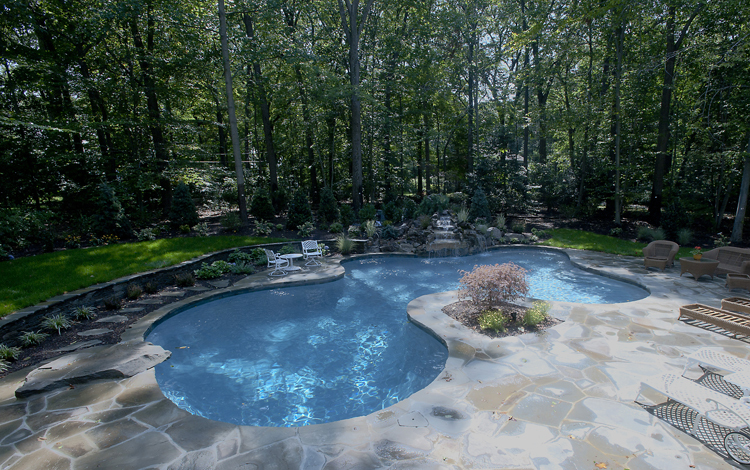 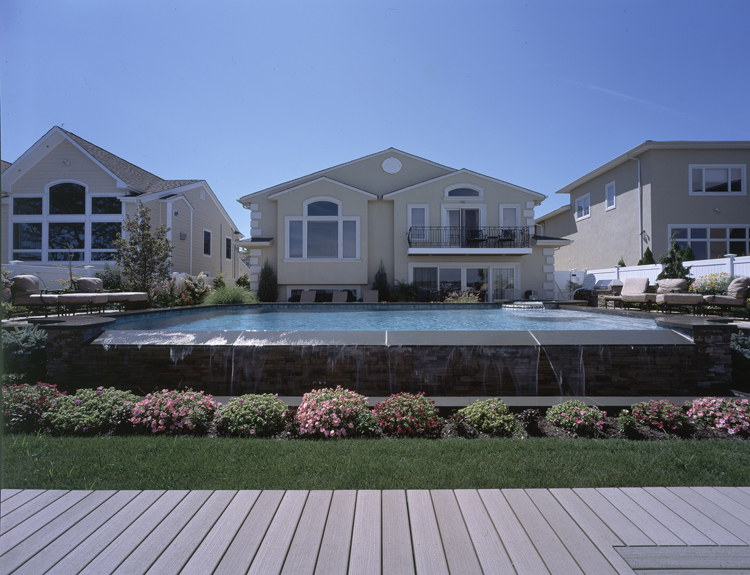 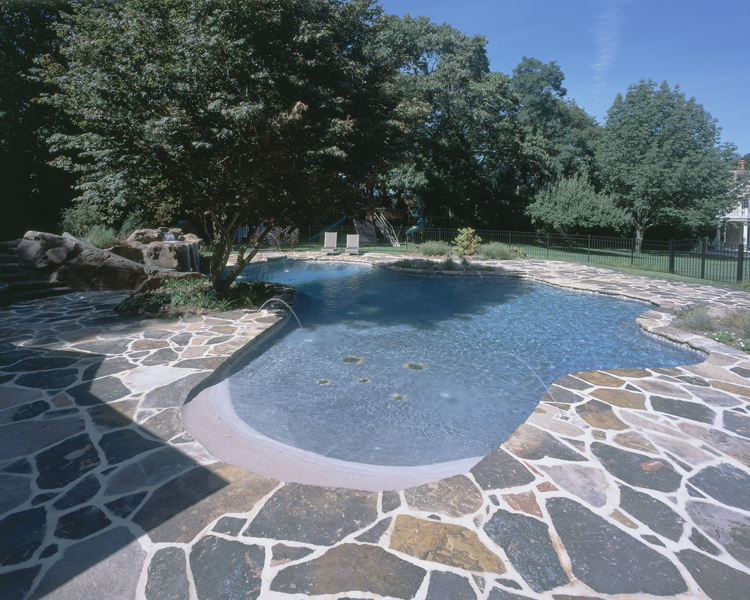 Gunite pools are the most popular design in much of the United States. 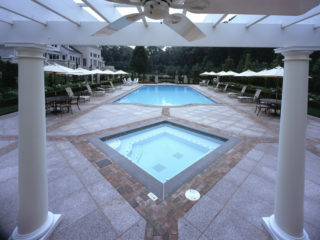 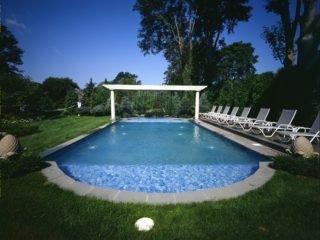 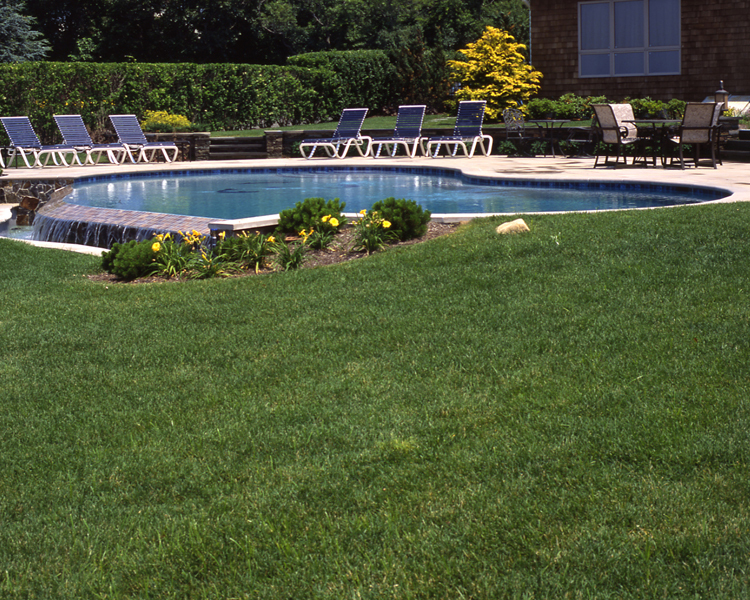 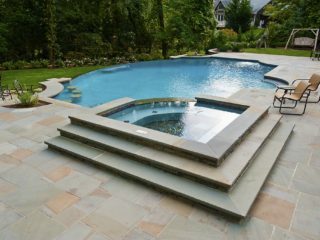 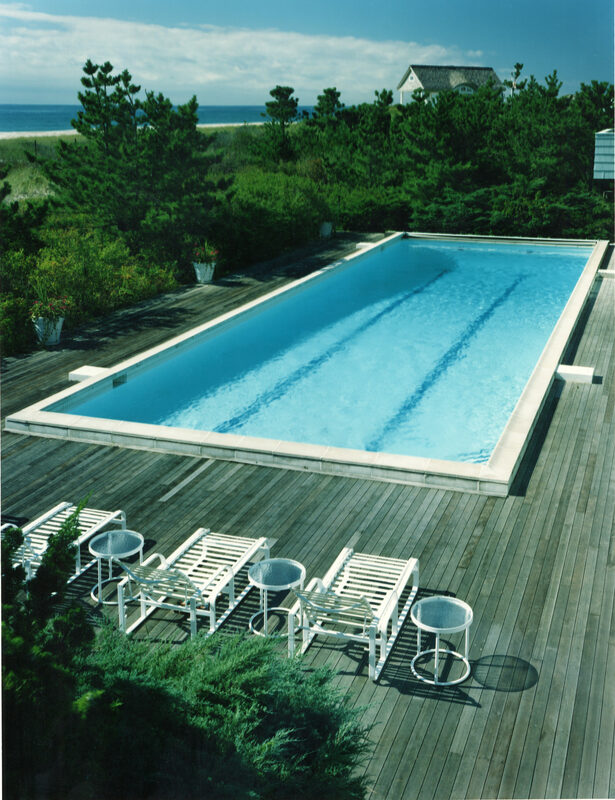 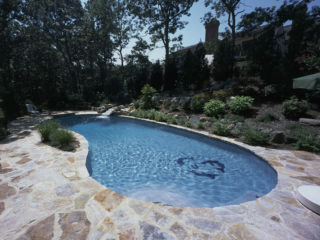 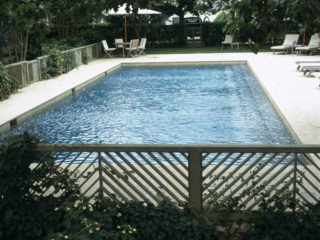 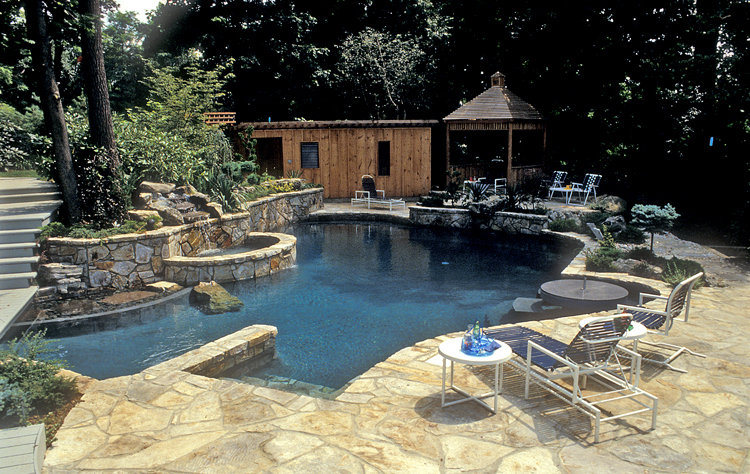 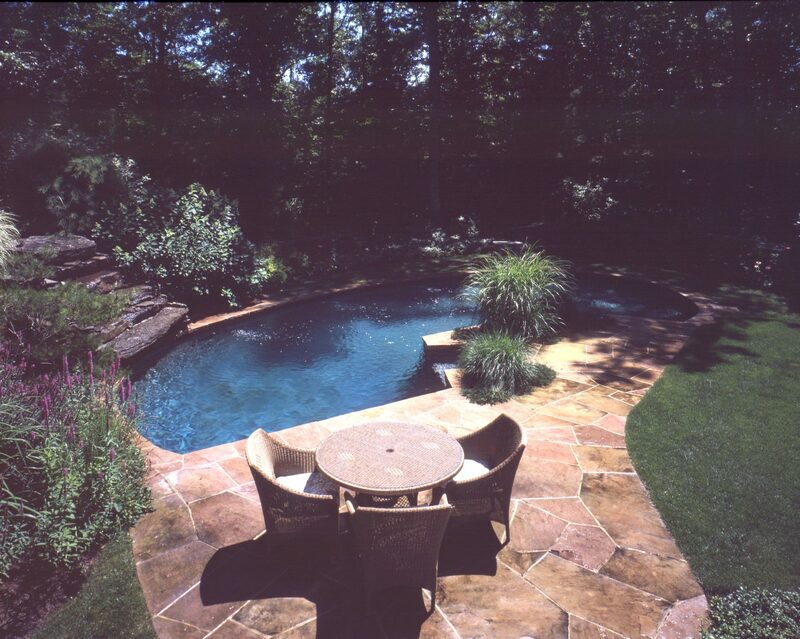 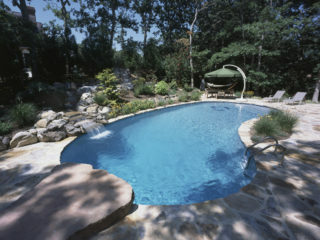 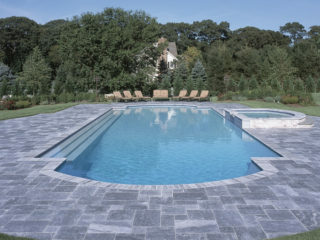 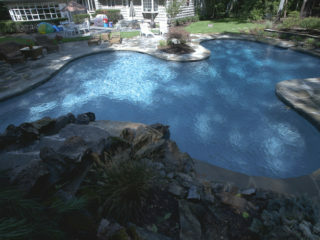 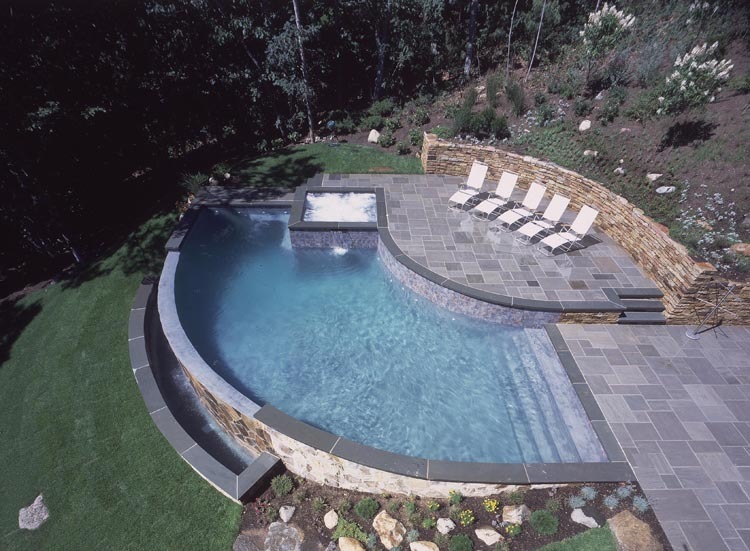 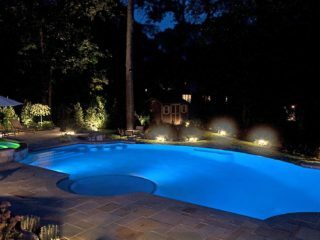 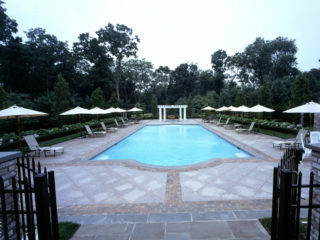 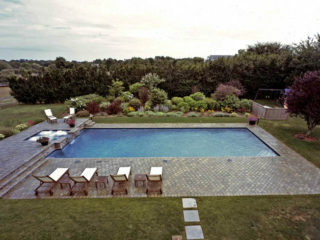 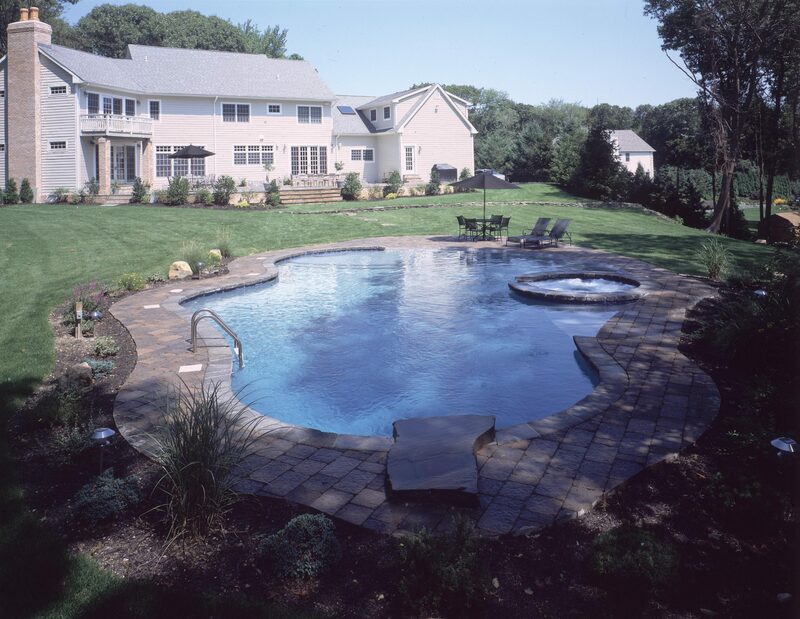 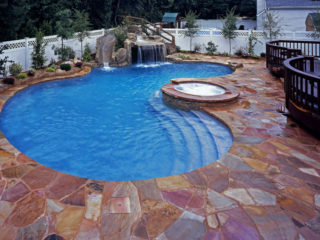 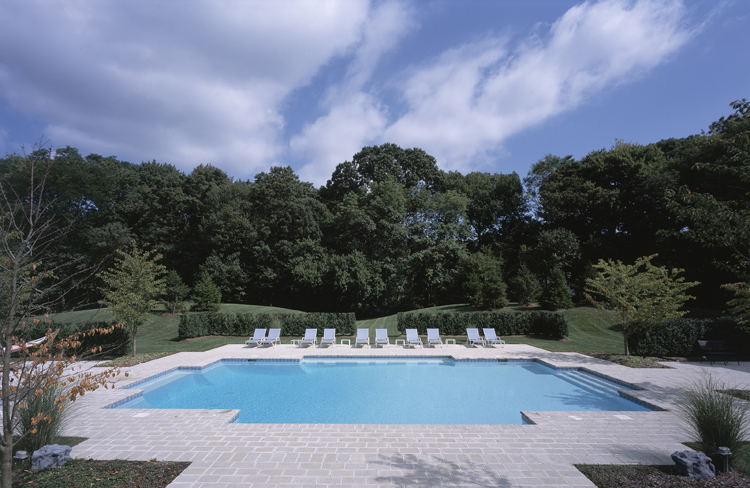 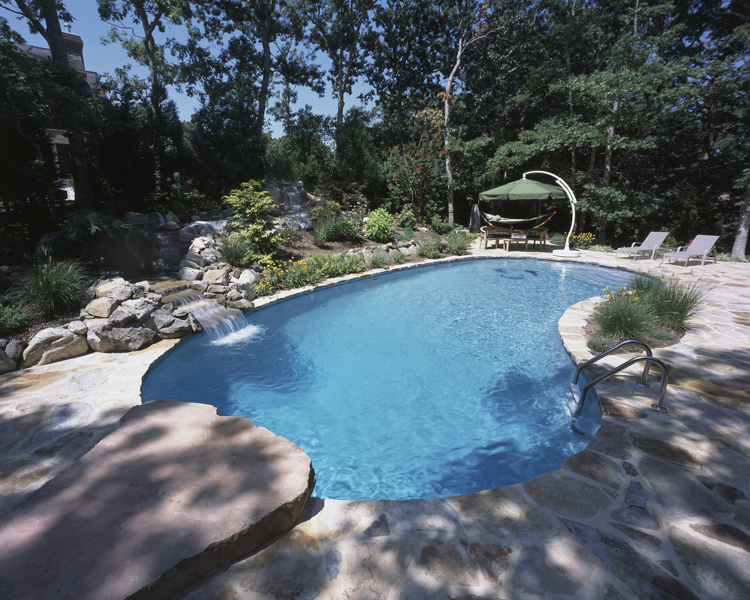 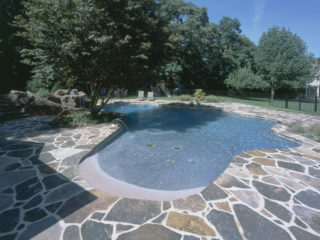 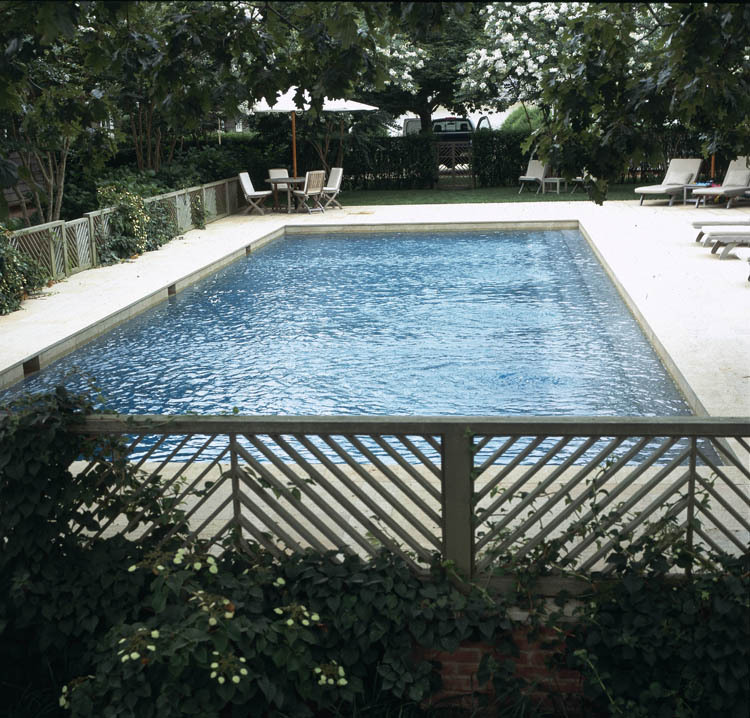 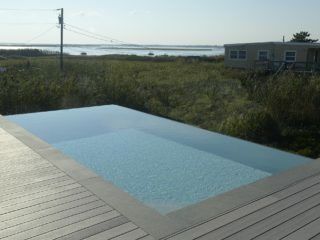 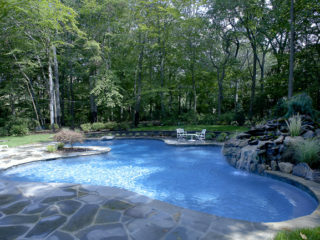 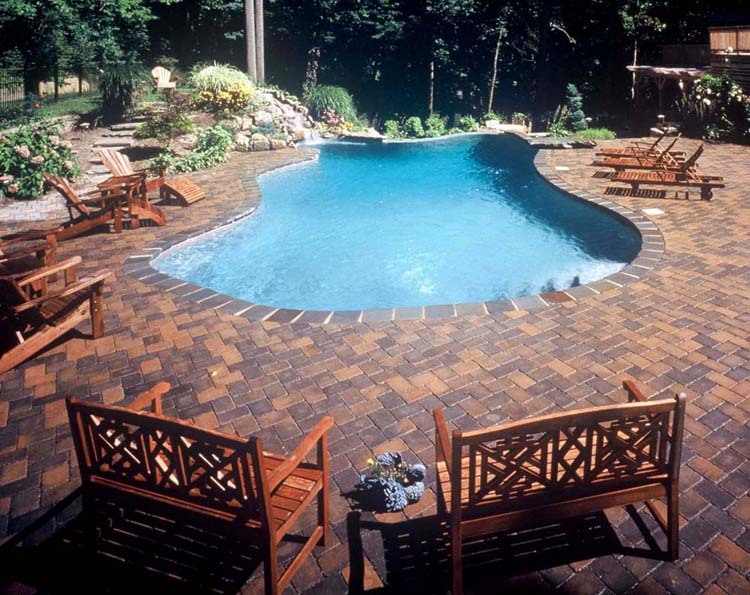 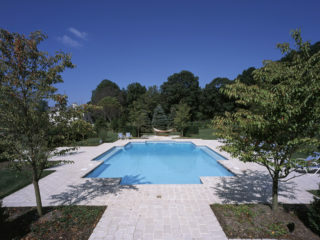 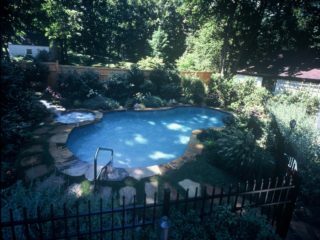 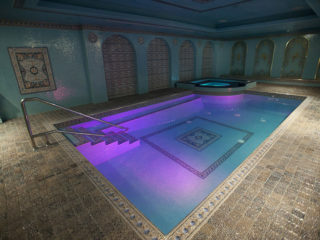 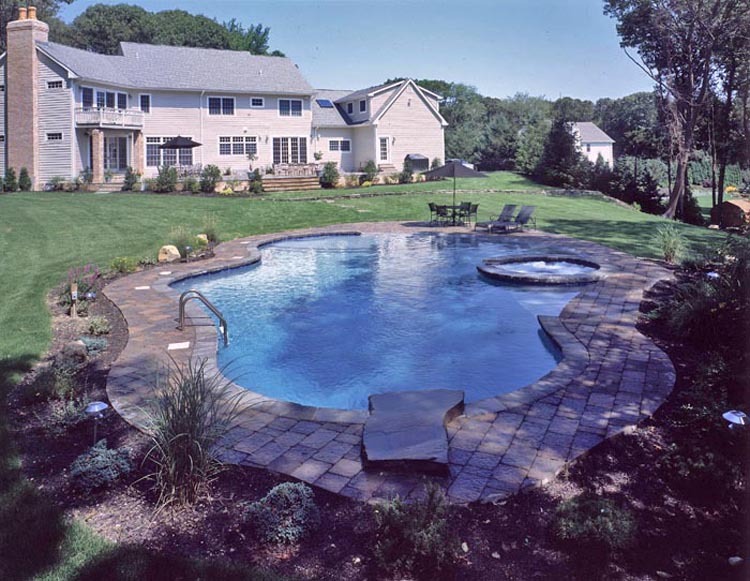 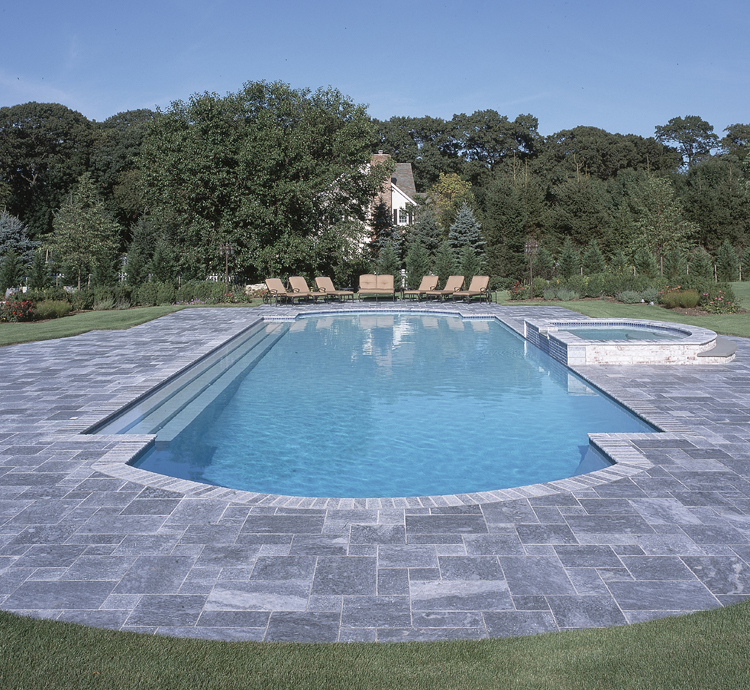 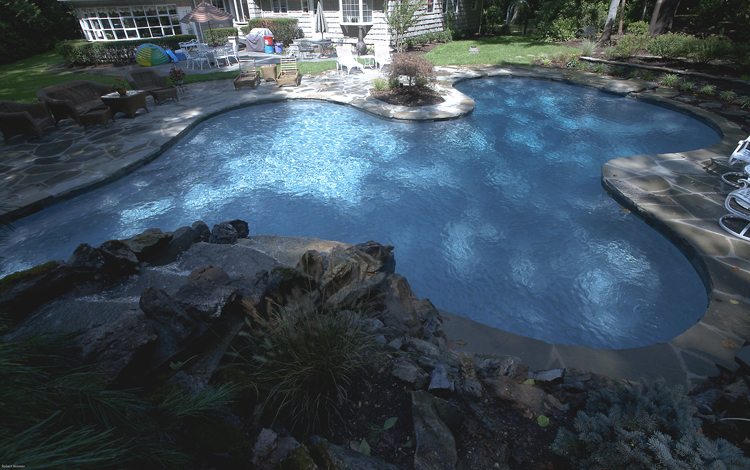 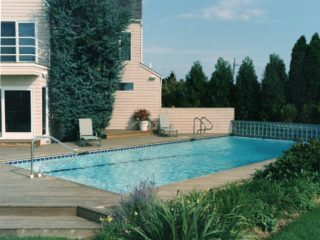 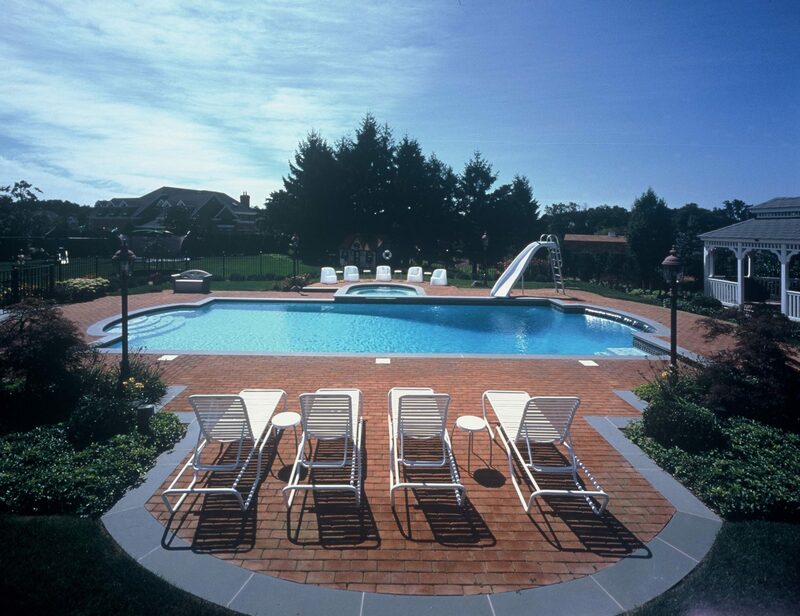 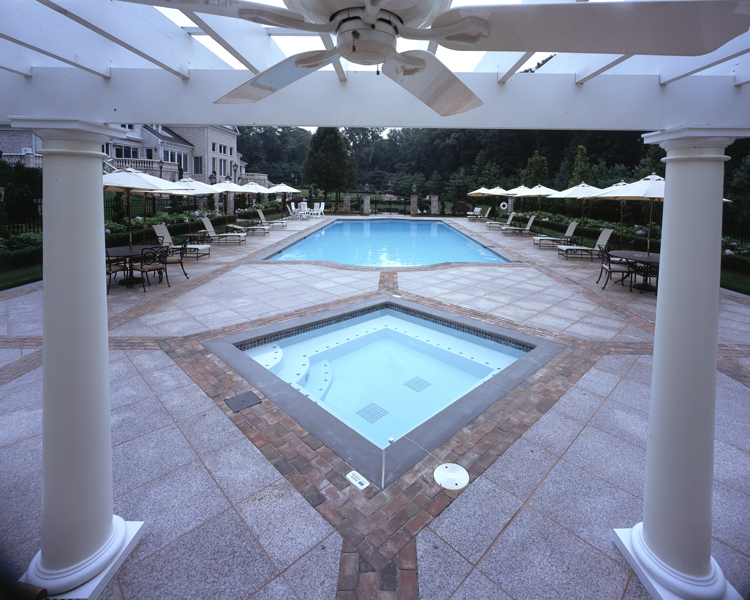 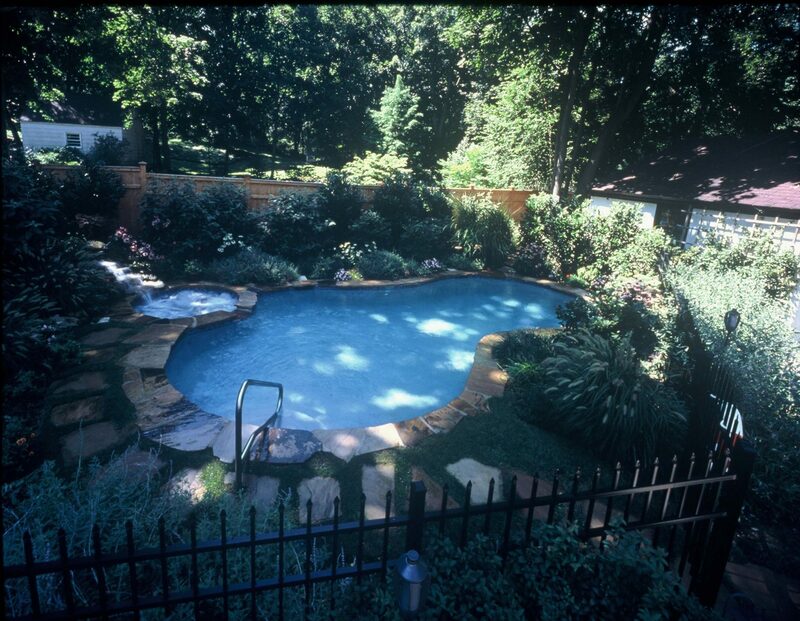 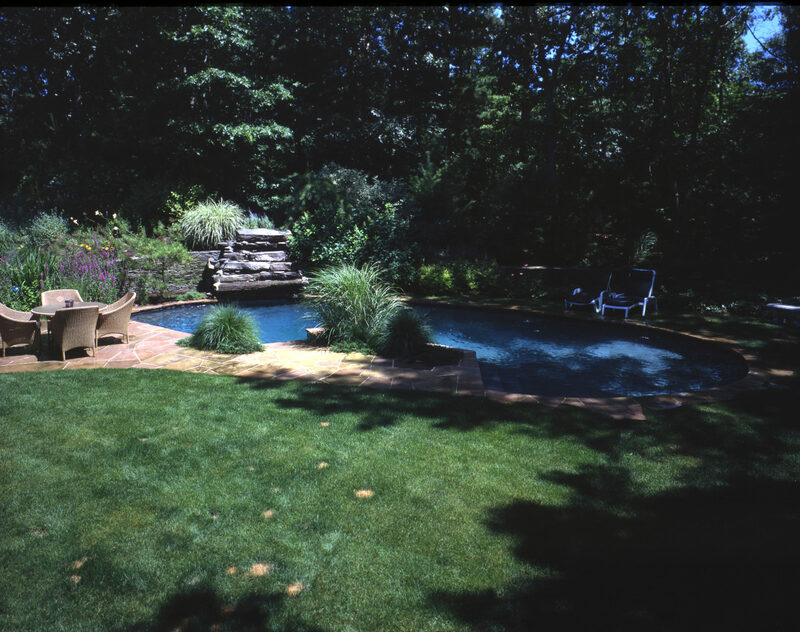 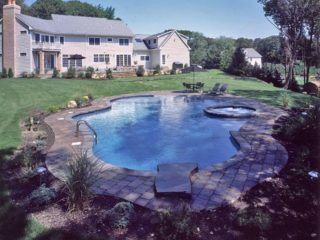 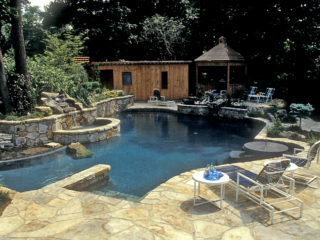 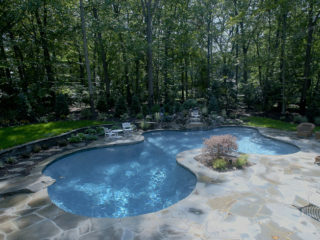 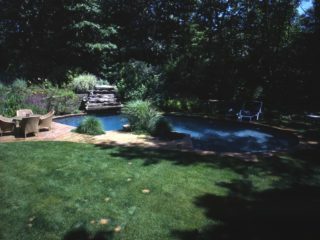 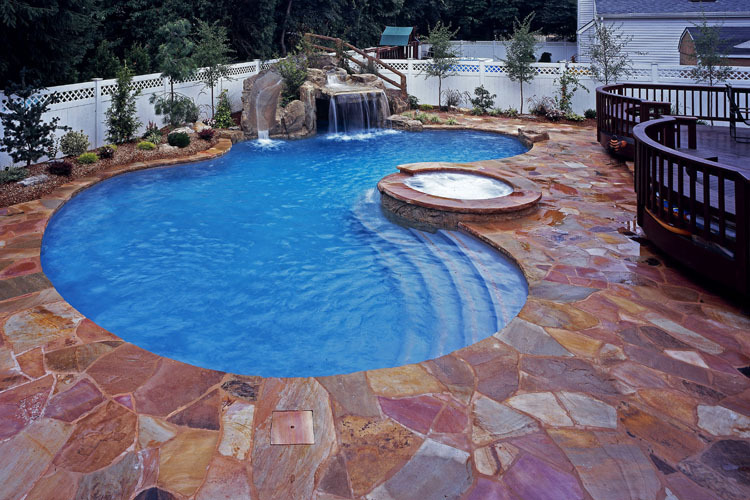 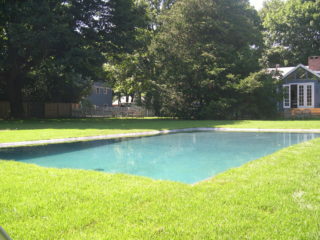 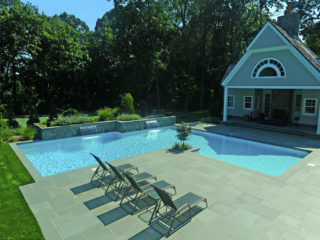 Gunite pools are highly durable; they can be built in any shape or size. 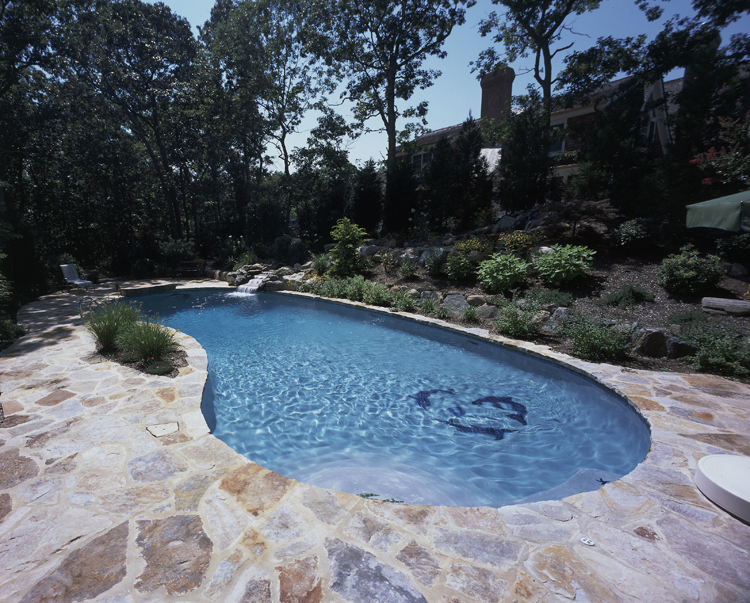 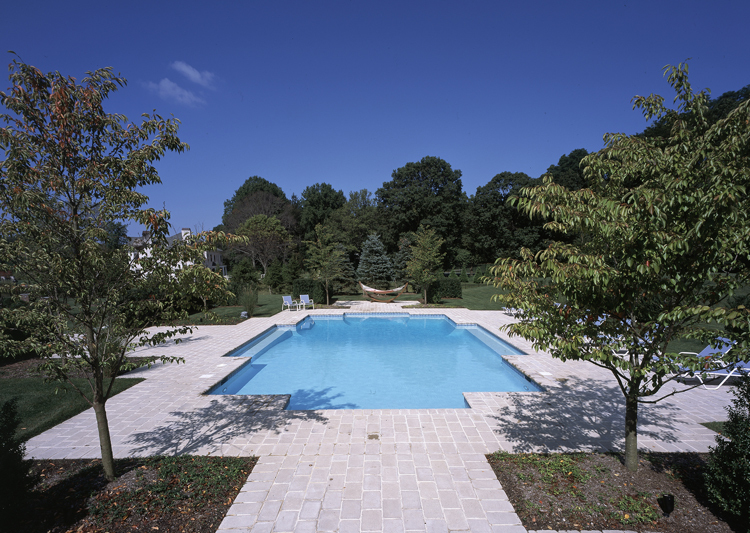 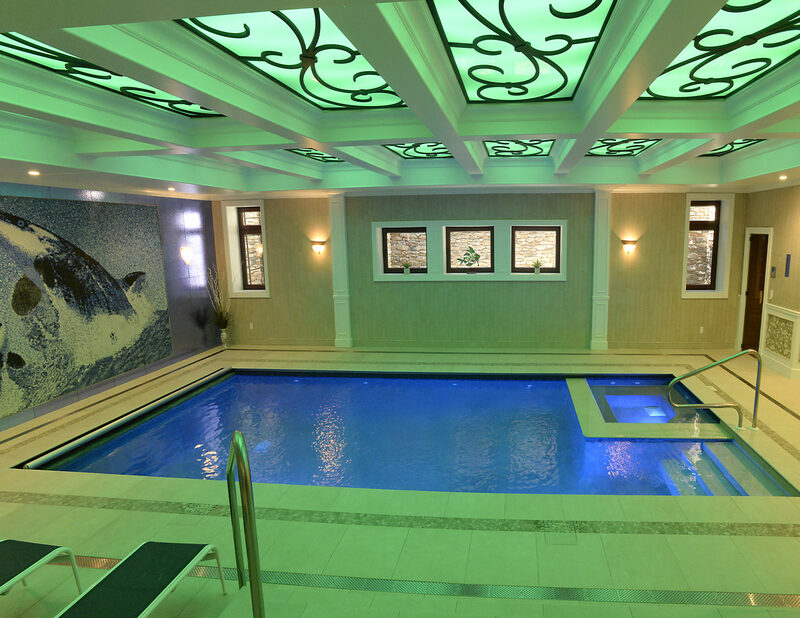 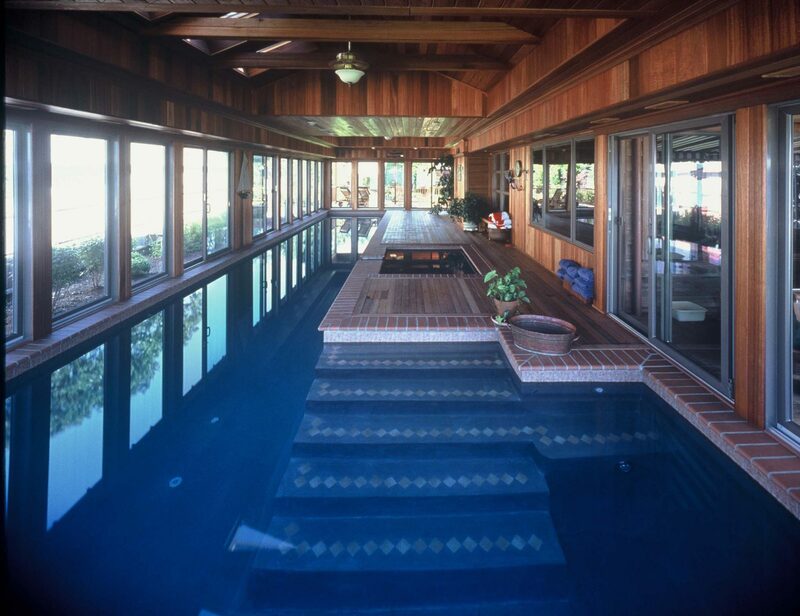 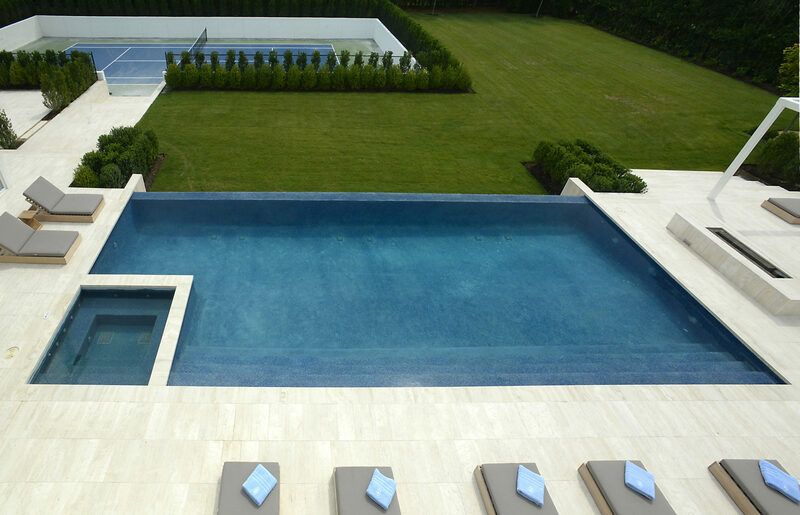 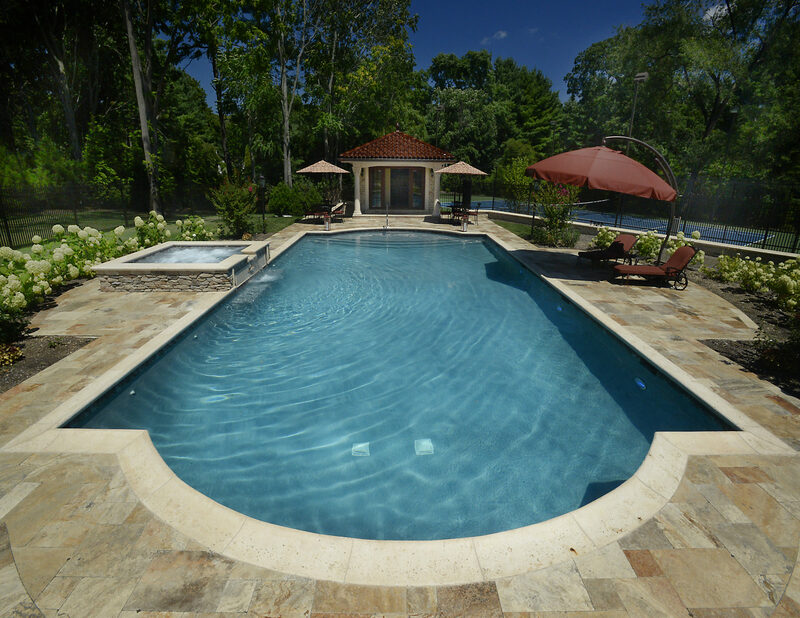 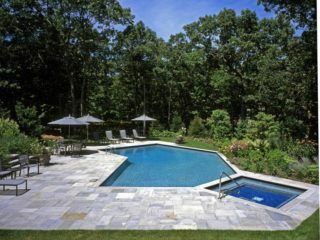 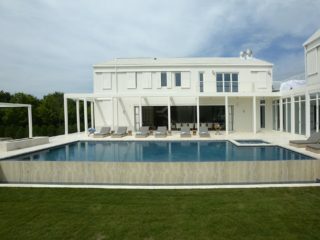 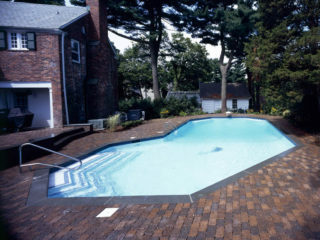 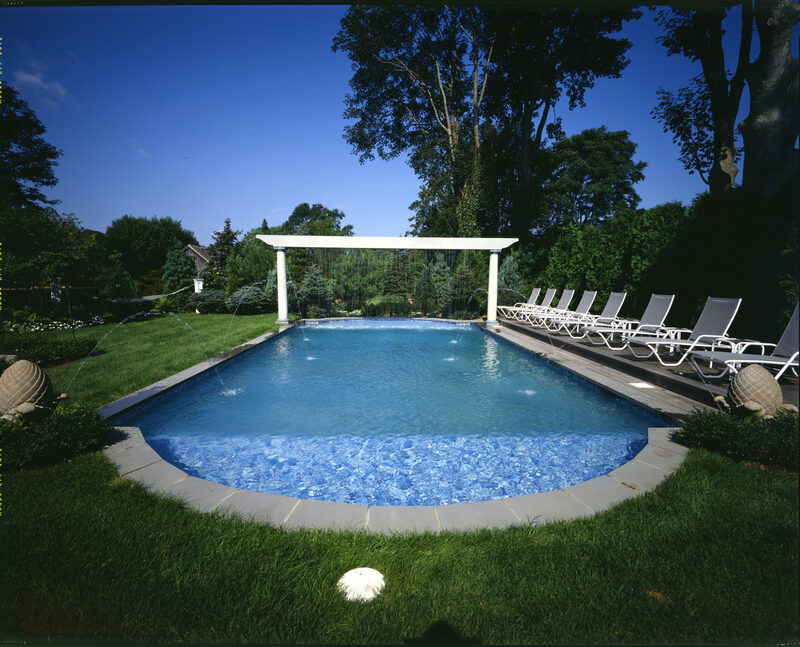 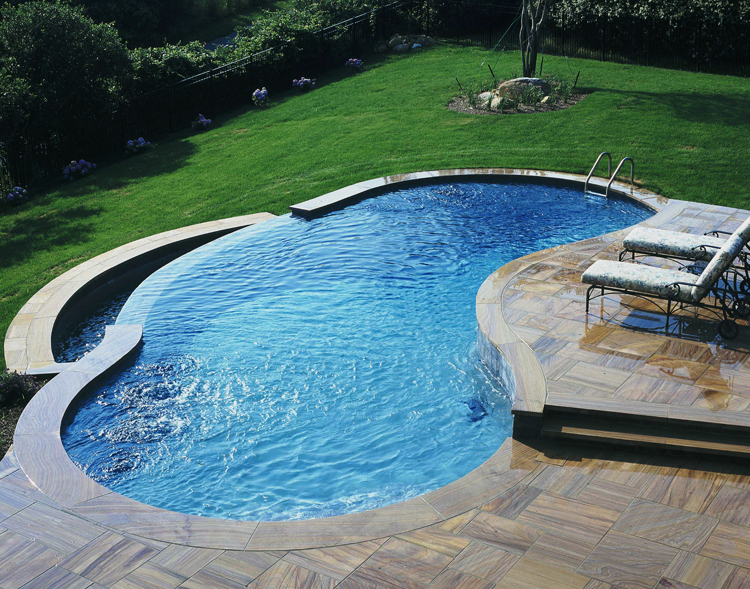 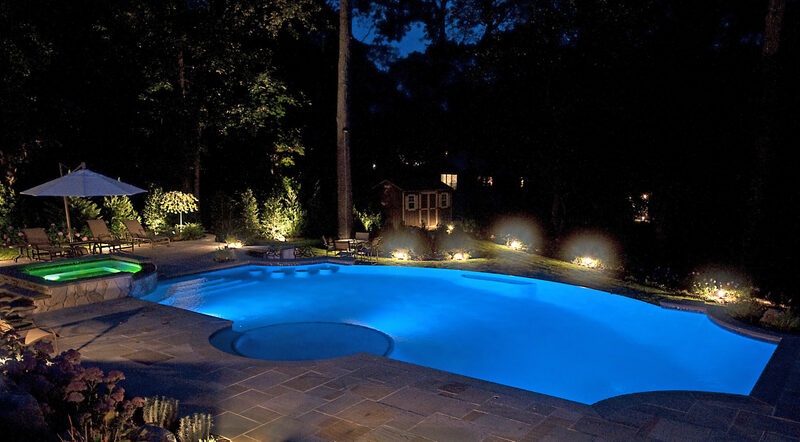 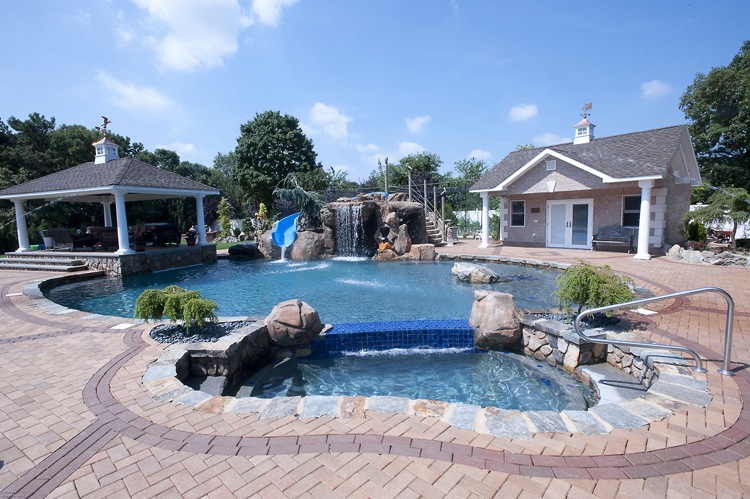 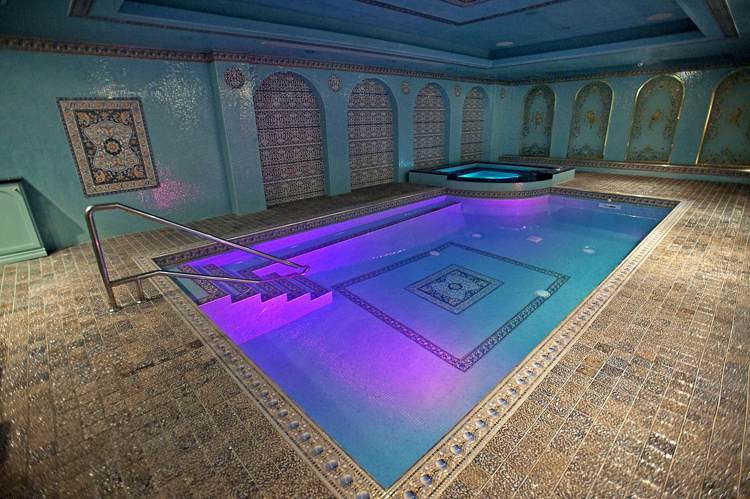 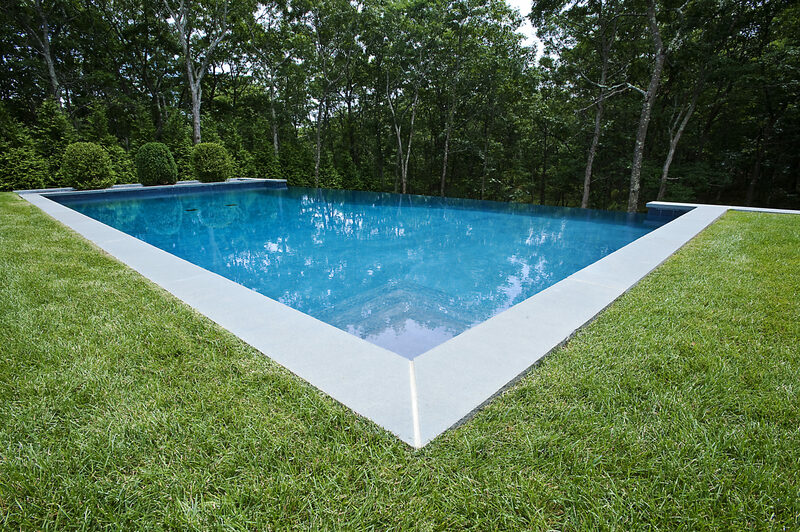 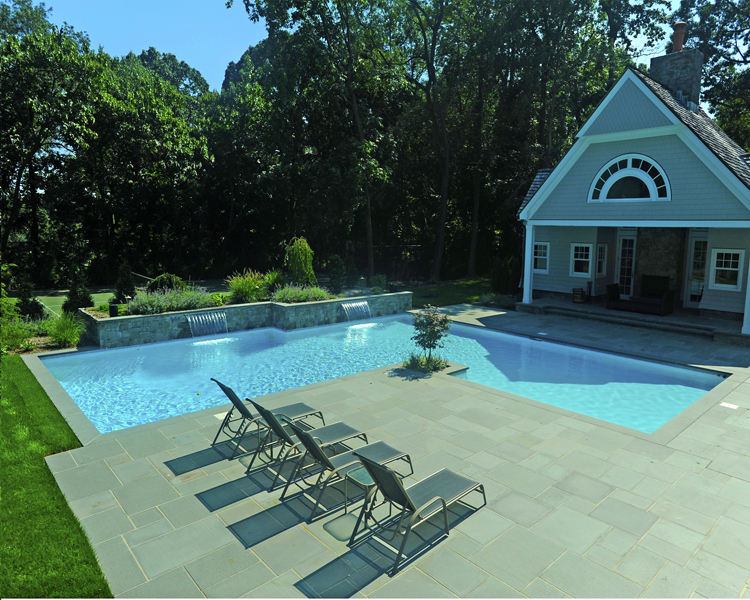 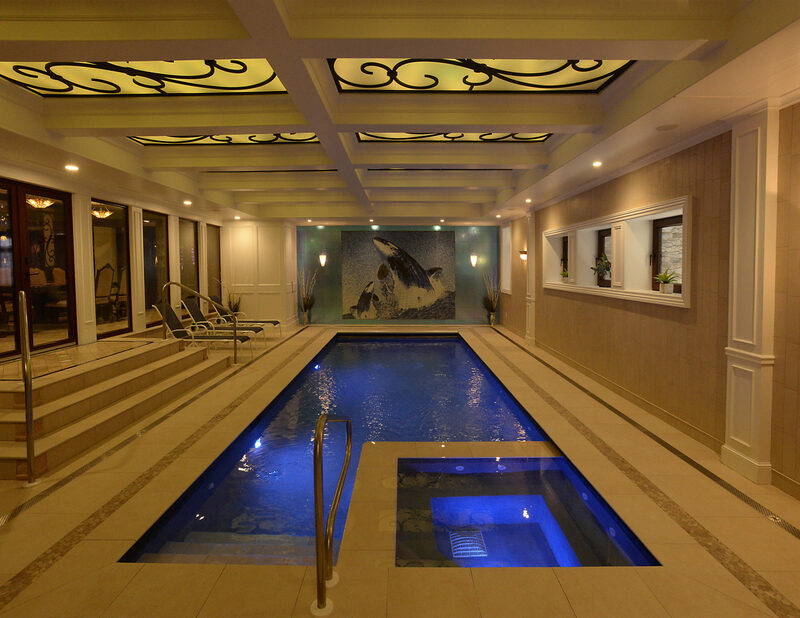 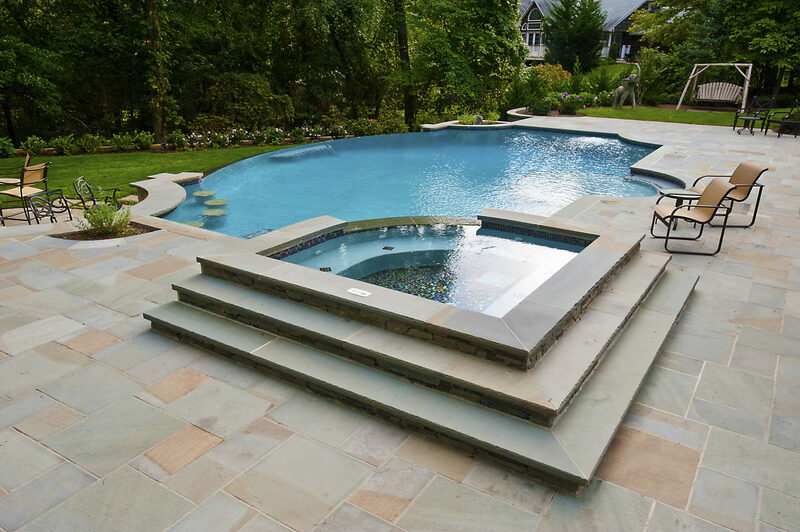 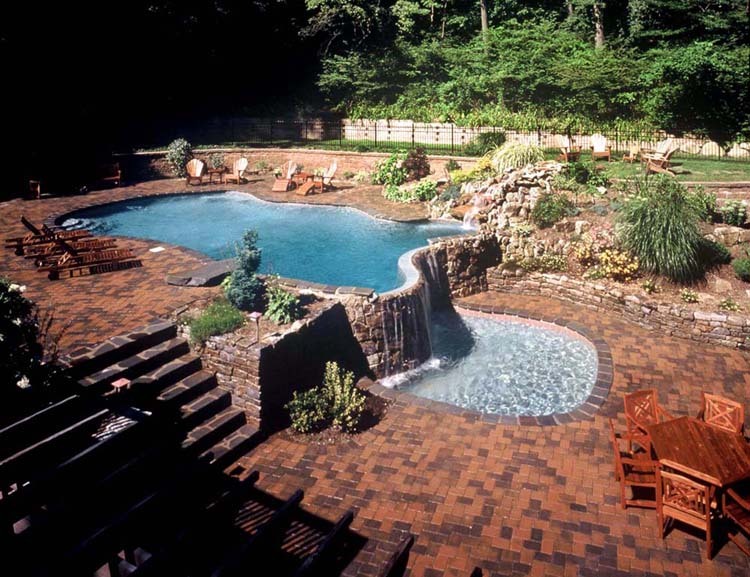 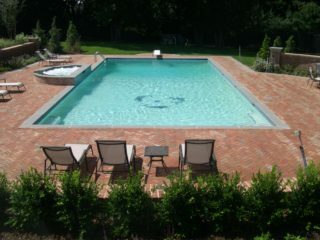 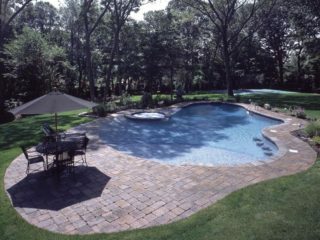 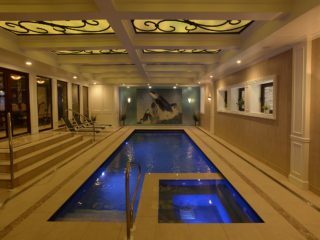 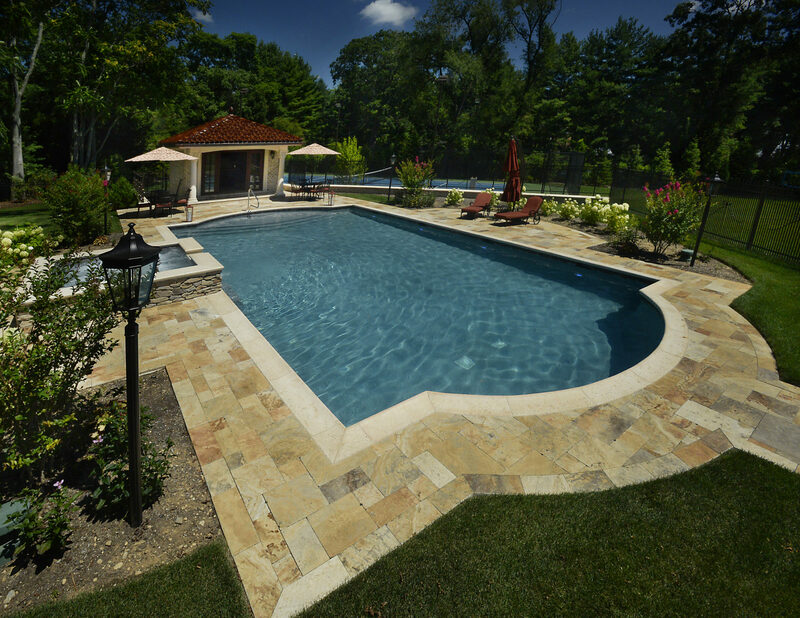 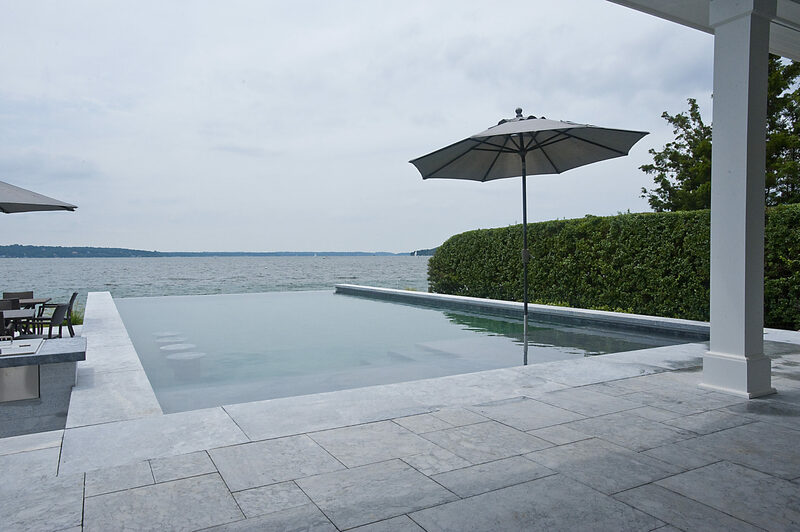 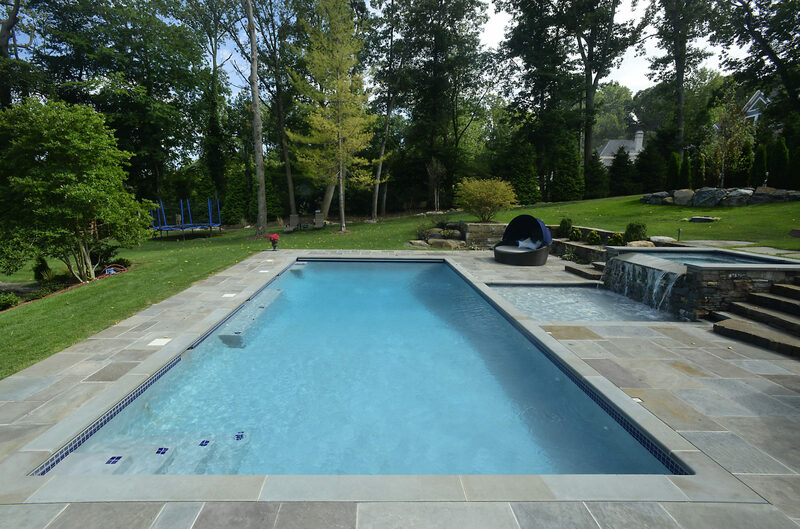 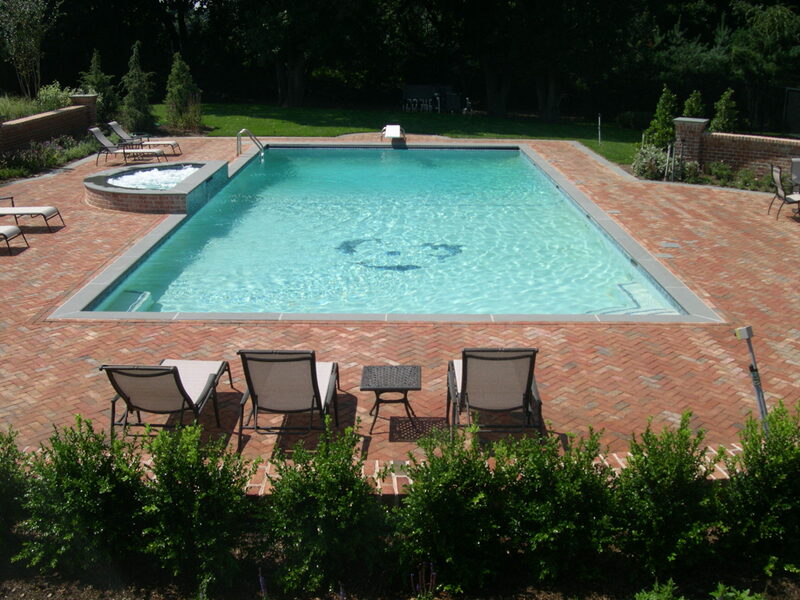 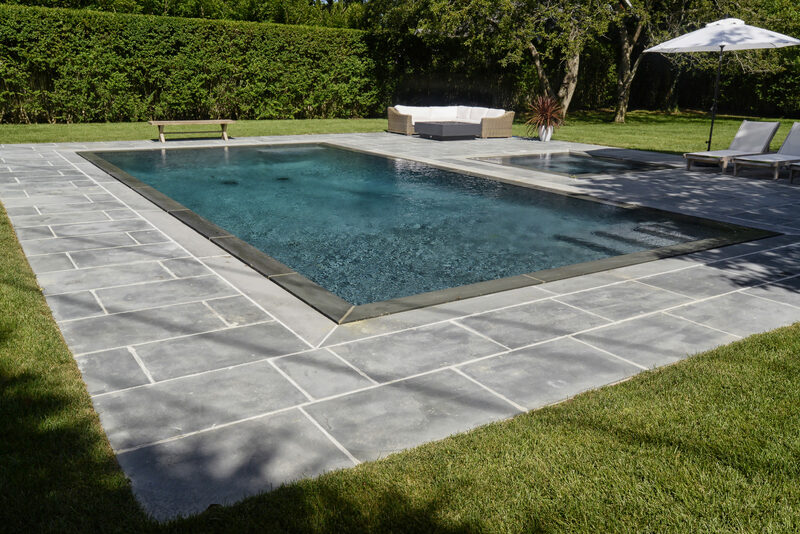 Gunite pools can also have a plaster, tile, exposed aggregate or even fiberglass finishes. 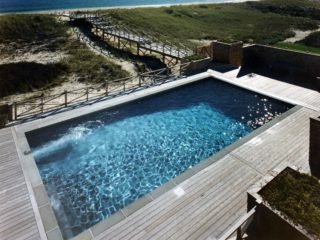 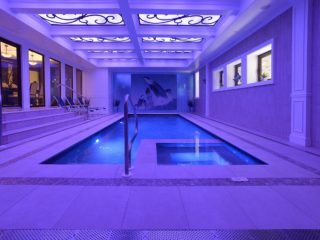 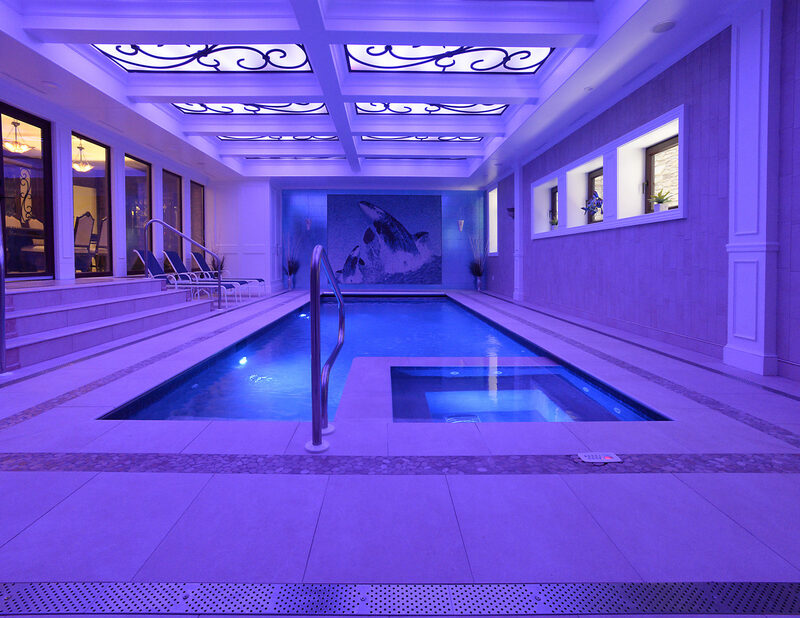 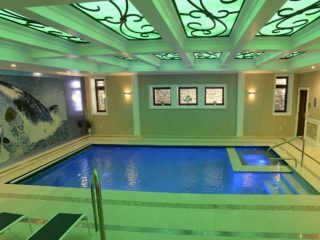 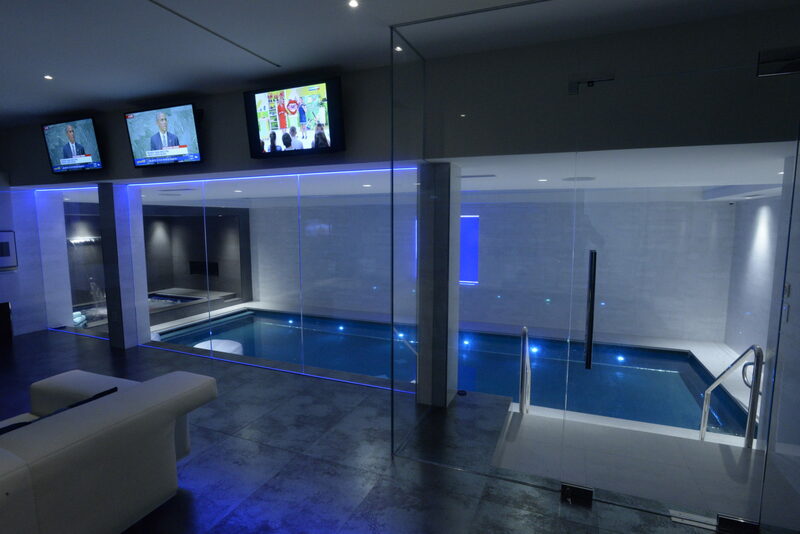 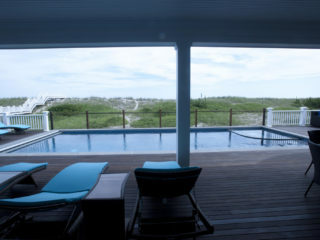 To build one of these pools, our construction crew digs a hole, puts the plumbing in place and assembles a framework grid with 3/8-inch steel reinforcing rods (rebar). 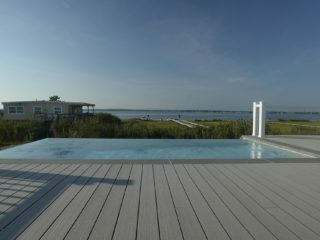 The rebar rods are spaced about 10 inches apart, and secured together with wire. 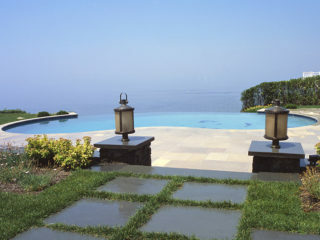 When the grid is in place, the crew sprays a heavy coating of gunite, a mixture of cement and sand, around the rebar. 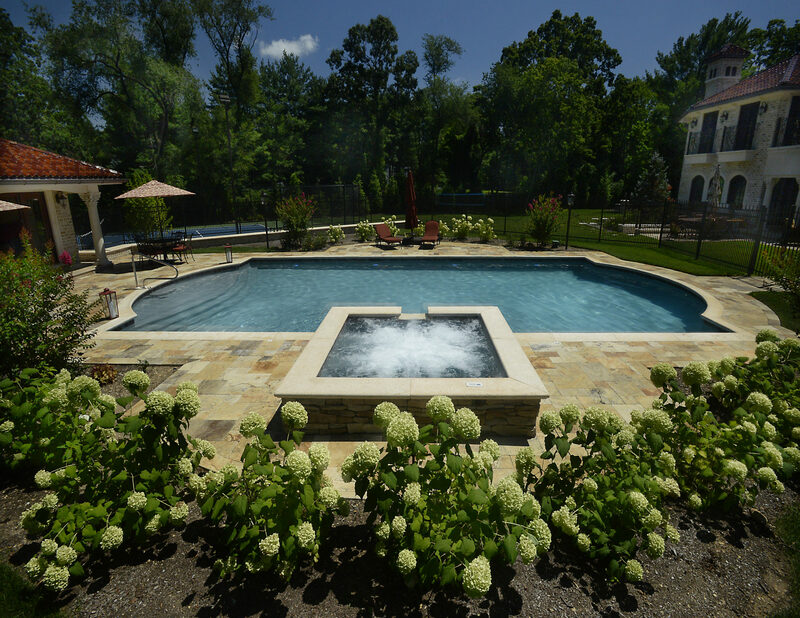 The sprayer unit combines dry gunite mix with water just before spraying — this produces the wet concrete material. 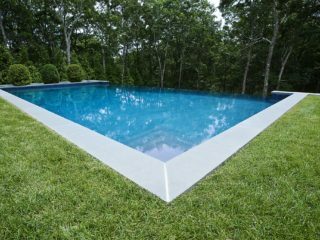 The crew trowels the gunite smooth and lets it sit for a week or so before applying a smooth finish to the rough surface.